Daughters are always special to parents. There’s a way you can make them feel special. If your daughter is less than 10 years of age, open a Sukanya Samriddh Account for her today. Here, we will tell you why you should do it and how to go about it.Before we get into details, lets thank our Honorable Prime Minister Narendra Modi, who has come up with this scheme as part of the “Beti Bachao Beti Padhao (BBB) campaign”. Financial Security to Girl Child – the amount in this account can come in handy for meeting higher education, marriage and other expenses of the girl child once she is 18. Attractive rate of interest and fast capital growth – attractive rate of interest similar to small savings scheme. Government will announce the rate of interest at the beginning of each year. Compared to PPF, the SSA scheme currently earns higher interest vs. PPF. Fully exempt from tax at all steps - This scheme is one of the very few schemes under the EEE (Exempt, exempt, exempt) category. First exemption: Contribution under this scheme entitled for deduction under Section 80C of Income Tax Act. Second exemption: Interest earned exempted from tax. Third exemption: Maturity or withdrawal amount also tax free. So, unlike fixed deposits and NSC, this scheme will not suffer tax at any stage. Thus, the money can grow faster without being eaten away as income tax. Parents or guardians of a girl child upto 10 years of age can open an account in the name of the girl. At the time of opening the account, you need to deposit at least Rs. 1000 by cash. Each financial year (April to March), you can deposit minimum Rs. 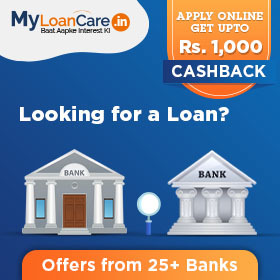 1,000 and maximum Rs/- 150,000/- by cheque, DD or Cash. To maximize interest income on the account, it is advisable to invest at the beginning of the year or as soon as possible. You can deposit contributions till the girl child reaches 14 years of age. Deposits cannot be made once the child is 14 years old. Premature withdrawal upto 50% of the balance in the account is allowed for higher studies of the girl once the girl reaches 18 years of age. The account will continue to earn interest till such time as it is closed. So, in case the girl chooses to keep the money in the account even after she reaches 21 years of age, she will continue to earn interest on the same. You can open an account for your beloved daughter with the nearest post office.